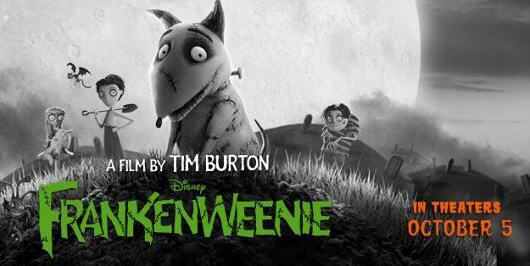 By now, you already know how much we are looking forward to the release of Frankenweenie, Disney’s new Tim Burton film arriving in theaters everywhere October 5th! Well, while we are waiting, Disney has sent over some free printable activity sheets to keep everyone entertained. 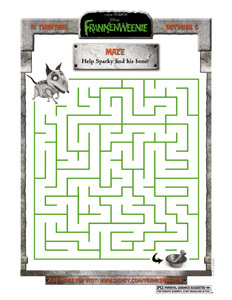 These fun activity sheets include mazes and a “Pin-the-Tail on Sparky” game! 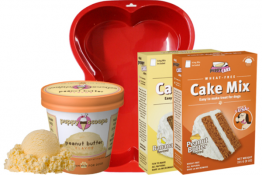 Perfect for a rainy day, birthday party and to get in the spirit as Halloween approaches! 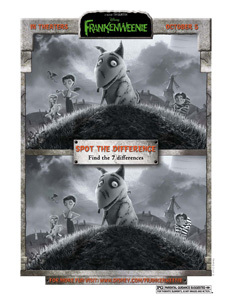 Just click the thumbnails below to open a PDF of each Frankenweenie activity sheet then print it or save to your computer. Enjoy!!! 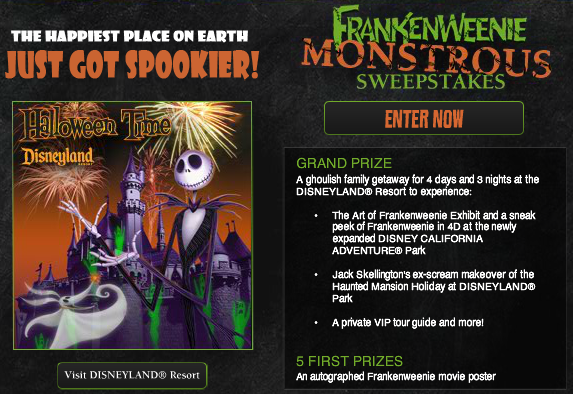 Disney’s Frankenweenie Monstrous Sweepstakes – Win a Disneyland Vacation for 4! 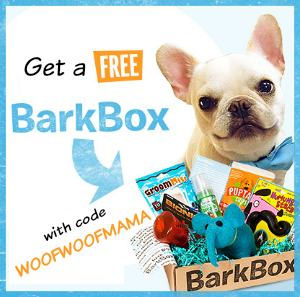 Our regular readers already know how much we are looking forward to the upcoming opening of Disney’s Frankenweenie and today we got even more great news: Disney’s Frankenweenie Monstrous Sweepstakes!!! 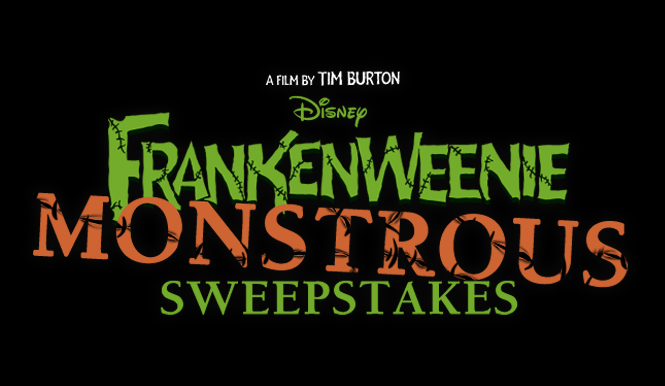 One very lucky winner will receive a 4 day/3 night vacation for four to the Disneyland® Resort and Disney California Adventure Park to experience the world of Tim Burton and FRANKENWEENIE during Halloween Time!!! 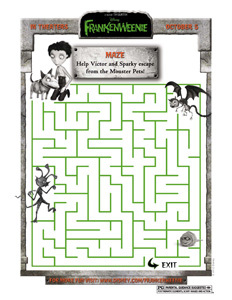 Just enter the Frankenweenie Monstrous Sweepstakes here for a chance to win a spooktacular vacation and experience all the fun of Halloween Time at the Disneyland® Resort. Plus, don’t miss The Art of Frankenweenie Exhibit only at the newly expanded Disney California Adventure Park, where you can get an up-close look at the amazing world of Frankenweenie through sets, puppets, props and more. 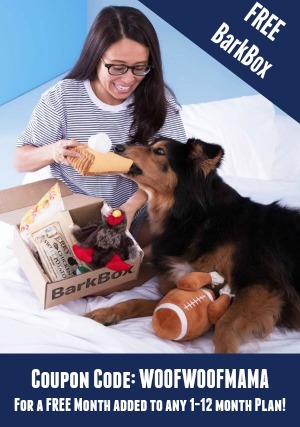 And for a limited time Guests will be treated to a special 4D extended preview of the film at the Muppets Vision 3D Theater before Frankenweenie comes to theaters in 3D October 5th! Watch the New Trailer for Tim Burton’s Disney Film: Frankenweenie! 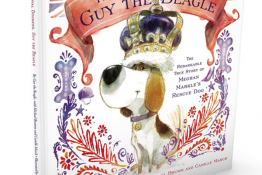 When is a story about a dead dog a GOOD thing? When it’s Frankenweenie!!! I’ve been so excited about this upcoming stop-motion animated Disney film by Tim Burton that I can hardly stand it. It won’t be in theaters until October 5th but the new trailer is out and you can watch it here! 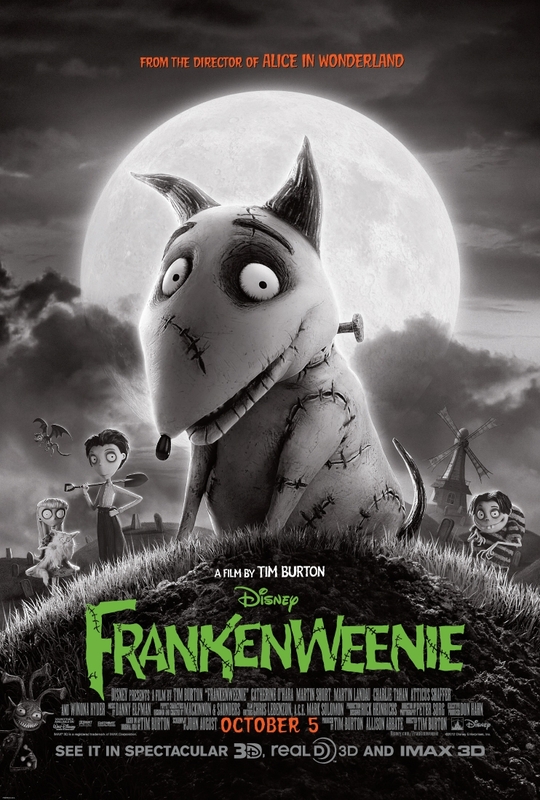 About Frankenweenie: After unexpectedly losing his beloved dog Sparky, young Victor harnesses the power of science to bring his best friend back to life—with just a few minor adjustments. He tries to hide his home-sewn creation, but when Sparky gets out, Victor’s fellow students, teachers and the entire town all learn that getting a new “leash on life” can be monstrous. Join other Disney and Frankenweenie Fans on Facebook at Facebook.com/FrankenweenieMovie. It’s Alive! Frankenweenie – New Animated Comedy by Tim Burton: In Theaters Oct. 5th! 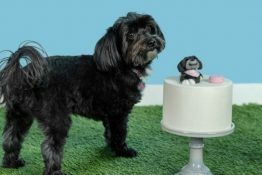 I’m so excited to hear about Frankenweenie, a new animated dog comedy from Disney, and wanted to give you a sneak peak of the new poster and story line! The release date of October 5, 2012 is perfect timing for getting in the mood for Halloween! Several of the character names—Victor, Elsa Van Helsing, Edgar “E” Gore and Mr. Burgemeister— were inspired by classic horror films. Also interesting to note for fans of Tim Burton’s work: The voice cast includes four actors who worked with Burton on previous films: Winona Ryder (“Beetlejuice,” “Edward Scissorhands”), Catherine O’Hara (“Beetlejuice,” “The Nightmare Before Christmas”), Martin Short (“Mars Attacks!”) and Martin Landau (“Ed Wood,” Sleepy Hollow”). 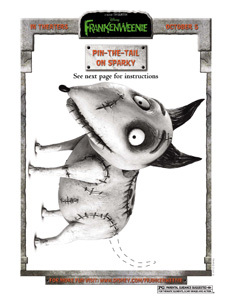 You can “Like” FRANKENWEENIE on Facebook and watch for it in Theaters October 5, 2012!